Our holiday resort in the Algarve boasts tennis facilities in combination with a wide choice of holiday accommodation to create the perfect tennis holiday in the Algarve, Portugal. 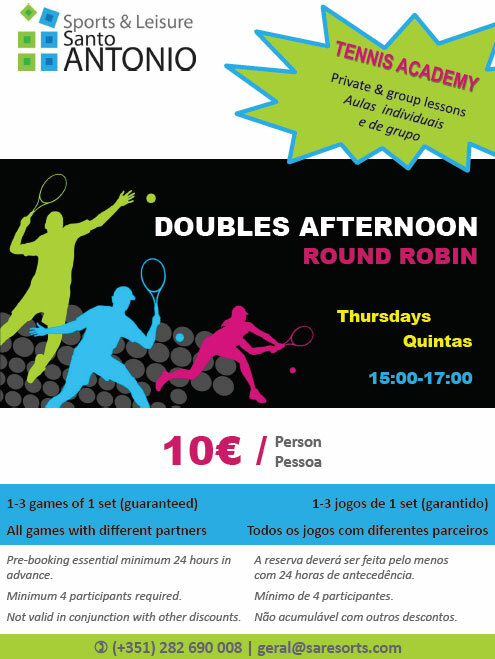 Bespoke tennis lessons and holidays. 2 traditional hard tennis courts. 2 'Masters' artificial grass courts. 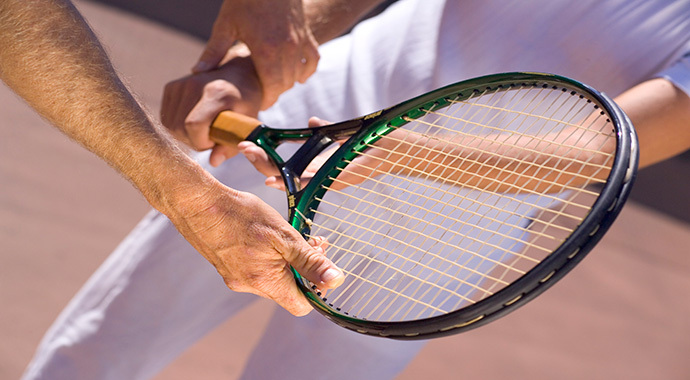 Tailored tennis courses lead by our certified professional. 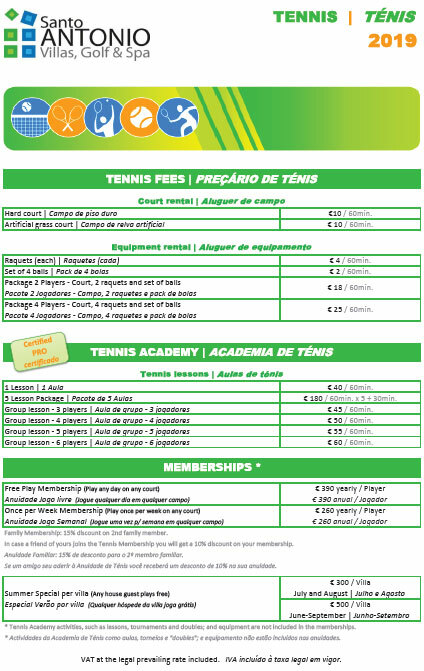 There are tailored tennis lessons for juniors and beginners. 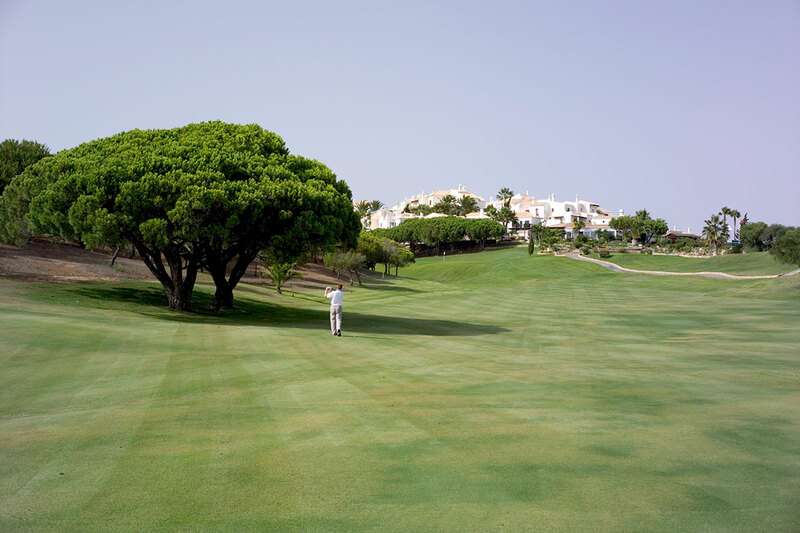 Whatever your level of tennis, Santo António Villas, Golf & Spa resorts will be able to provide the perfect tennis holiday in the Algarve. For more information please contact our reservations team, who will be pleased to cater your tennis holiday to your exact requirements.